Jumping has never been this much fun! 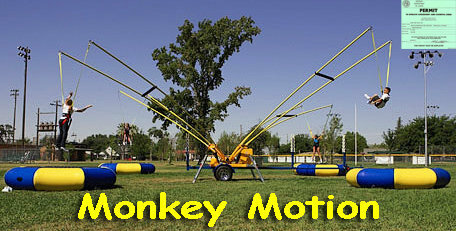 Our Monkey Motion ride allows 4 simultaneous jumpers and is the most high-tech jumping system available. Trained Operators will be provided.